Eyewitness testimony is a legal term. It refers to an account given by people of an event they have witnessed. Eyewitness misidentification is the single greatest cause of wrongful convictions nationwide, playing a role in nearly 75% of convictions overturned through DNA testing. Eyewitness identification typically involves selecting the alleged perpetrator from a police lineup, but it can also be based on police sketches and other methods. Soon after selecting a suspect, eyewitnesses are asked to make a formal statement confirming the ID and to try to recall any other details about events surrounding the crime. At the trial, which may be years later, eyewitnesses usually testify in court. Although eyewitness reports are sometimes accurate, jurors should not accept them uncritically because of the many factors that can bias such reports.For example, jurors tend to give more weight to the testimony of eyewitnesses who report that they are very sure about their identifications even though most studies indicate that highly confident eyewitnesses are generally only slightly more accurate—and sometimes no more so—than those who are less confident. In addition to educating jurors about the uncertainties surrounding eyewitness testimony, adhering to specific rules for the process of identifying suspects can make that testimony more accurate. One of the best heartening example i could give would be the case of Ronald Cotton. You may view the case in full at the below link. Another famous case of mistaken identity in the United Kingdom is the case of Adolf Beck, who served several years in prison as a swindler, was released upon completion of his sentence, and then arrested again on the same charges before the actual swindler of similar appearance was apprehended. Eyewitness testimony is an important area of research in cognitive psychology and human memory.Jurys tend to pay close attention to eyewitness testimony and generally find it a reliable source of information. However, research into this area has found that eyewitness testimony can be affected by many psychological factors:Anxiety / Stress, Reconstructive Memory, Weapon Focus, Leading Questions. Anxiety or stress is almost always associated with real life crimes of violence. 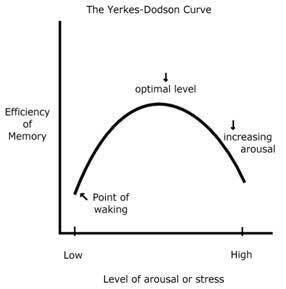 Deffenbacher (1983) reviewed 21 studies and found that the stress-performance relationship followed an inverted-U function proposed by the Yerkes Dodson Curve (1908). This means that for tasks of moderate complexity (such as EWT), performances increases with stress up to an optimal point where it starts to decline. 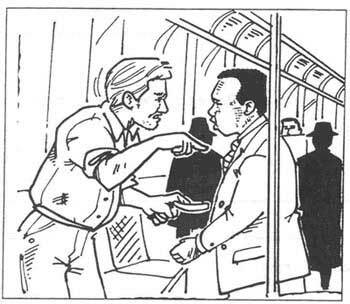 Clifford and Scott (1978) found that people who saw a film of a violent attack remembered fewer of the 40 items of information about the event than a control group who saw a less stressful version. As witnessing a real crime is probably more stressful than taking part in an experiment, memory accuracy may well be even more affected in real life. However, a study by Yuille and Cutshall (1986) contradicts the importance of stress in influencing eyewitness memory. They showed that witnesses of a real life incident (a gun shooting outside a gun shop in Canada) had remarkable accurate memories of a stressful event involving weapons.A thief stole guns and money, but was shot six times and died. The police interviewed witnesses, and thirteen of them were re-interviewed five months later. Recall was found to be accurate, even after a long time, and two misleading questions inserted by the research team had no effect on recall accuracy. One weakness of this study was that the witnesses who experienced the highest levels of stress where actually closer to the event, and this may have helped with the accuracy of their memory recall. 1. There are cases of real-life recall where memory for an anxious / stressful event is accurate, even some months later. 2. Misleading questions need not have the same effect as has been found in laboratory studies (e.g. Loftus & Palmer). Bartlett ’s theory of reconstructive memory is crucial to an understanding of the reliability of eyewitness testimony as he suggested that recall is subject to personal interpretation dependent on our learnt or cultural norms and values, and the way we make sense of our world. Many people believe that memory works something like a videotape. Storing information is like recording and remembering is like playing back what was recorded. With information being retrieved in much the same form as it was encoded. However, memory does not work in this way. It is a feature of human memory that we do not store information exactly as it is presented to us. Rather, people extract from information the gist, or underlying meaning. In other words, people store information in the way that makes the most sense to them. We make sense of information by trying to fit it into schemas, which are a way of organizing information. Schemas are mental ‘units’ of knowledge that correspond to frequently encountered people, objects or situations. They allow us to make sense of what we encounter in order that we can predict what is going to happen and what we should do in any given situation. These schemas may, in part, be determined by social values and therefore prejudice. Schemas are therefore capable of distorting unfamiliar or unconsciously ‘unacceptable’ information in order to ‘fit in’ with our existing knowledge or schemas. This can, therefore, result in unreliable eyewitness testimony. Bartlett tested this theory using a variety of stories to illustrate that memory is an active process and subject to individual interpretation or construction. In his famous study ‘War of the Ghosts‘, Bartlett (1932) showed that memory is not just a factual recording of what has occurred, but that we make “effort after meaning”. By this, Bartlett meant that we try to fit what we remember with what we really know and understand about the world. As a result, we quite often change our memories so they become more sensible to us. His participants heard a story and had to tell the story to another person and so on, like a game of “Chinese Whispers”. The story was a North American folk tale called “The War of the Ghosts”. When asked to recount the detail of the story, each person seemed to recall it in their own individual way. With repeating telling, the passages became shorter, puzzling ideas were rationalized or omitted altogether and details changed to become more familiar or conventional. For example, the information about the ghosts was omitted as it was difficult to explain, whilst participants frequently recalled the idea of “not going because he hadn’t told his parents where he was going” because that situation was more familiar to them. For this research Bartlett concluded that memory is not exact and is distorted by existing schema, or what we already know about the world. It seems, therefore, that each of us ‘reconstructs’ our memories to conform to our personal beliefs about the world. This clearly indicates that our memories are anything but reliable, ‘photographic’ records of events. They are individual recollections which have been shaped & constructed according to our stereotypes, beliefs, expectations etc. The implications of this can be seen even more clearly in a study by Allport & Postman (1947). When asked to recall details of the picture opposite, participants tended to report that it was the black man who was holding the razor. Clearly this is not correct and shows that memory is an active process and can be changed to ‘fit in’ with what we expect to happen based on your knowledge and understanding of society (e.g. our schemas). This refers to an eyewitness’s concentration on a weapon to the exclusion of other details of a crime. In a crime where a weapon is involved, it is not unusual for a witness to be able to describe the weapon in much more detail than the person holding it. However, a study by Yuille and Cutshall (1986) contradicts the importance of weapon focus in influencing eyewitness memory.